The Future of Cloud Finance Is Intelligent | Constellation Research Inc. The CFO role faces a plethora of pressures. As the job evolves from that of a traditional finance and accounting executive to a broadly strategic function within enterprises, fundamental changes in business models and nontraditional challengers require a postmodern CFO archetype to emerge. Add the shift to an era of digital transformation, new business models and an AI-driven environment, organizations must take the plunge and upgrade their financial management software to meet these new market conditions. 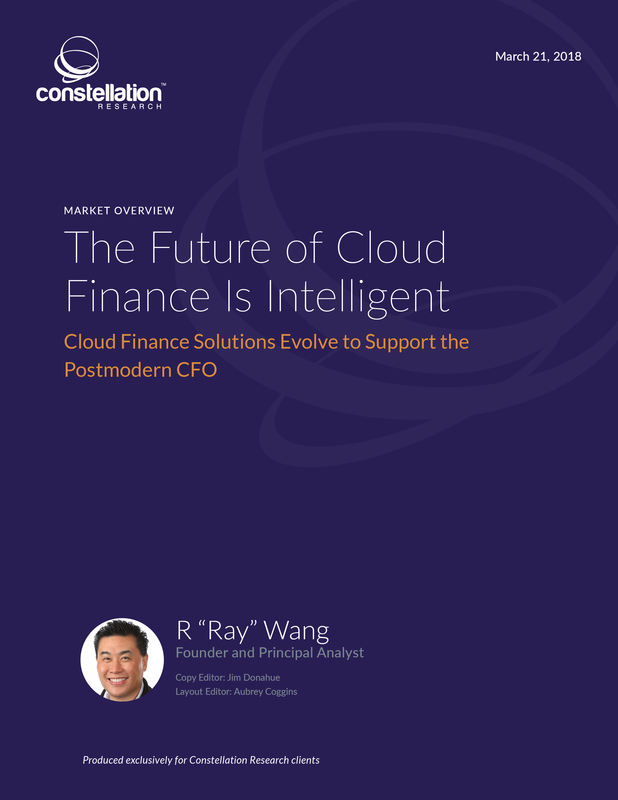 Cloud finance offerings provide the best way to modernize existing environments and meet the challenges of the postmodern CFO. This market overview provides the background on the market trends, user requirements and the vendor landscape for this rapidly growing software segment, which will become a $35 billion market by 2025.